Farm Fresh graded shell eggs. 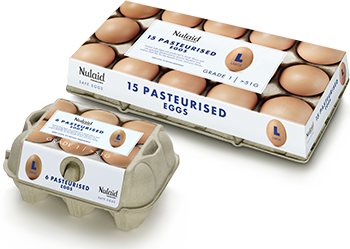 Free Range eggs are produced by hens which are not caged and have daily access to an outdoor range area accessible through openings in the side of the barn. An extract from eggs regulation September 2011. 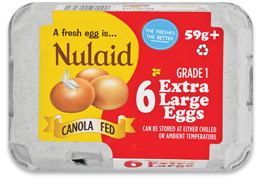 Nulaid Canola Range eggs offer a fatty acid balance that is rich in Omega-3. Canola seed extracts also contains another essential fatty acid, Omega-6, which can play an important role in lowering blood cholesterol levels. 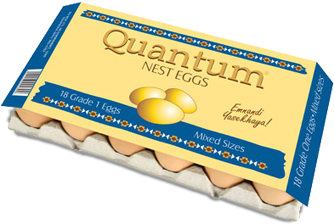 Eating a breakfast of omega-3 enriched eggs could improve blood triglyceride levels and could help boost heart health. Cost efficient, no waste, lower hygiene risk, Micro-biologically tested. 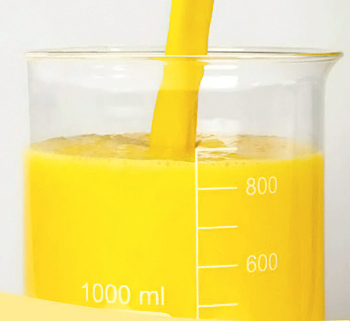 Whole Pasteurized Egg Pulp 10% Salted - frozen as above but applications are: Mayonnaise manufacture, savory sauces, salad dressings etc. Mixed, ungraded eggs, packed on the farms. 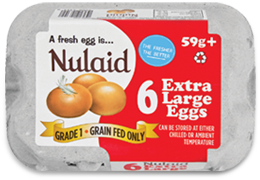 Nulaid Safe Eggs are pasteurised to eliminate bad bacteria like salmonella and avian influenza, reducing the risk of food poisoning and giving them an extended shelf life of up to 8 weeks. This is done by using technologically advanced heating units – the first of their kind in South Africa. 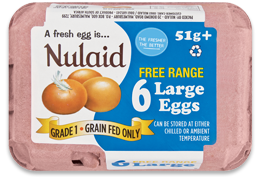 Nulaid Safe Eggs especially benefit the health of you and your family.